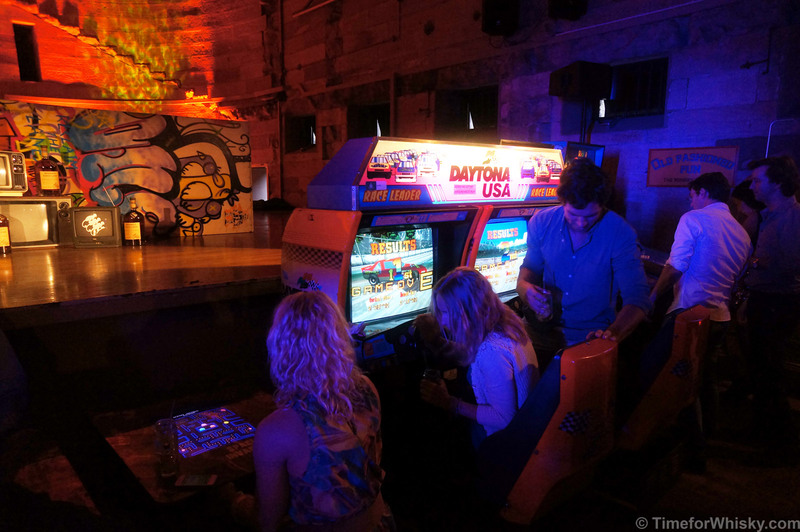 Backwards, reversed, up-side down...three words that sum up (in the best possible way) the Monkey Shoulder Underground "Reverse Subverse" party, held in Sydney's Darlinghurst last night. 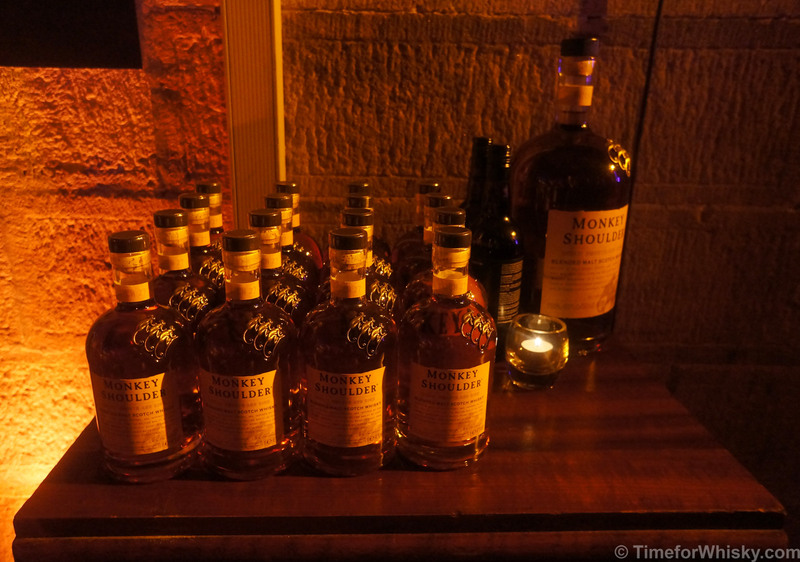 For those not familiar, Monkey Shoulder is a unique whisky in that it's a blend, but (unlike Johnnie Walker or Chivas Regal), it's a blend of only three malt whiskies, all from William Grant & Sons (Glenfiddich, Balvenie and Kininvie for the whisky geeks amongst us). At under $40AUD it's got to be about the best value for money whisky out there (before it came out in Australia, I bought a bottle from the Glenfiddich Distillery and lugged it half-way around the world, only to see it released here 6 months later...d'oh)! 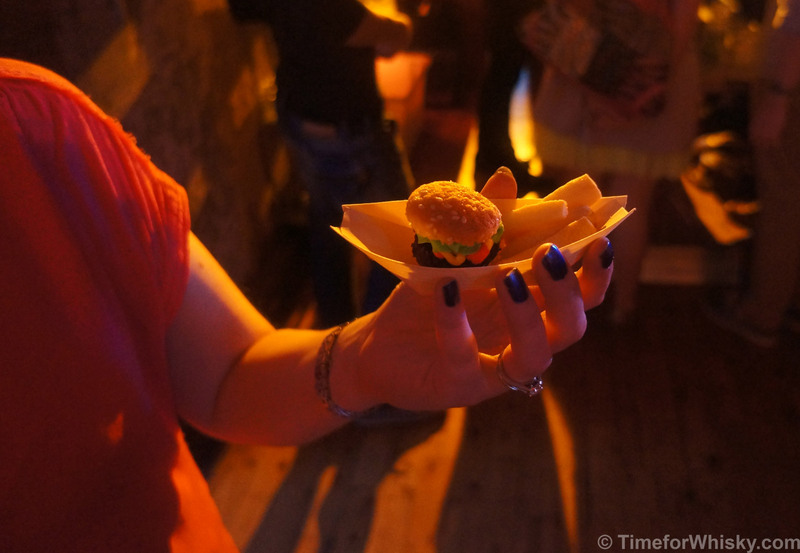 Hosted by William Grant & Sons (and their excellent PR agency, Weber Shandwick), the party was held in what was previously a women's prison - a great setting. True to the "reverse" theme, guests were welcomed with a take-home Monkey Shoulder miniature, then served dessert first (which deceptively looked like sushi and mini burgers), followed by savoury canapes which flowed freely all night (much like the cocktails and punch!). As well as the fantastic food and drinks, there was a DIY Old Fashioned station (with your choice of bitters - chocolate seemed to be the winner), and serve-yourself punch (fittingly named "Knockout", "Roundhouse" and "Uppercut"). As if that wasn't enough interactivity, there were prizes for best tweets each hour made under #monkeyunderground and #monkeyshoulder. The party was still pumping as last drinks were called, and more than a few guests poured themselves one last double Old Fashioned for the road. All up, a hugely successful night. Can't wait for the next one. 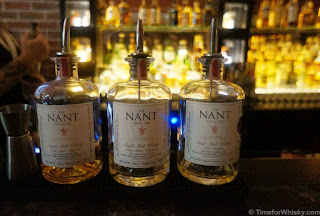 A few weeks ago I visited The Nant Whisky Bar in Brisbane, and was managed to tick off one of my #101drams whiskies - #10 The Nant 3yo Cask Strength (aka the famous Jim Murray 95.5 rater). Big rich nose, honey/maple syrup. Sweet but not "sherry sweet". Well-balanced palate with a big mouth feel (surprisingly big given the ABV%). The finish was smooth and just the right length - not over too soon, but not lingering around forever. Definite sherry nose - sweet and enjoyable. Palate was much the same, perhaps a slight nuttiness, but not as smooth as the port wood. The finish impressed - long and smooth, with the sherry's sweetness lingering to the end. I preferred the Port Wood, but this was an enjoyable dram. The big one. Big expectations here. Given the 63% ABV, I was expecting big alcoholic aromas that really hit at the back of the nose and down into the throat. Nope. This one combined the sweetness of the sherry and the maple syrup notes of the two previous whiskies, with a good whack of vanilla coming through. The ABV% was more evident on the palate - BIG mouthfeel (this is definitely a cask strength...) rich, barley notes. Delicious. The finish was (as expected) L-O-N-G, with a warming, sugary syrupy finish that you don't want to leave (and at times it seems it never will). Deserving of the accolades - Nant have created a fantastic whisky here. Reading the Qantas magazine on a recent flight (as far as in-flight mags go, it's actually pretty good), I noticed an article for Sebastien Terry's "100 Things" challenge - in a nutshell, one Aussie's goal to tick 100 things off his "bucket list", and raise $100,000 for Camp Quality in doing so (he's currently at $65,000, with a little recent help from TimeforWhisky). At the time I was trying to come up with new ideas for this blog, and that's when it hit me - why not a similar challenge, with a whisky focus? Instead of 100 things, how about 100 drams (and hey, why not 101)? "But Martin", I hear you say. "Sebastien started his list for a good cause, and you've taken his idea and applied it to...drinking?" Fair call. So how about this - for every 20 drams I tick off the list, I'll donate $100 to Cancer Council Australia (chosen for personal reasons). For the 101st dram, I'll donate another $100. That's $600 all up - all for a great cause. The drams I've included are a real mixture - with only one commonality being that I want to try them but haven't. Some are readily available (some even in sample format from Single Malt Whisky or Master of Malt), some are whiskies I really should have tried already (#2, #19), some will be easy to tick off this year (#17, #23), some will take me a few years (#13), and some I might never get to taste (#4). But hey, what's the point in a goal if you don't reach for it? 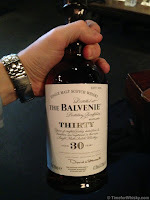 I'll revisit this post every time I try one of the drams, and mark it off (and add a link to the tasting post). Actually since starting the list, I've already ticked off #18 and #21. 1: Glenfiddich Age of Discovery "Dawin Edition" Red Wine cask 19yo - because I loved the first AoD release and I have an obsession with all things 'fiddich. 2: Ballantine's 17yo (World Whisky of the Year 2011) - because the one time I attempted to order it, the bar (on my honeymoon in the Maldives, of all places) ran out, and gave me a 30yo for the same price. A great dram, but it means I still haven't tried the 17yo. 3: Kininvie Hazelwood (either 105 or 110...in fact I'll settle for any Kininvie single malt, future releases included) - Not just because it's super rare and expensive, but because when I toured the Glenfiddich distillery with my dad in 2009, and heard all about how Kininvie was a single malt produced by WGS that very, very rarely saw the light of day as a single malt, and when I tried Monkey Shoulder, I knew I had to try Kininvie as a single malt. 4: Glenfiddich 50yo - I'd include the Janet Sheed Roberts Reserve, but I think this one I might actually stand a chance of trying. One day. Possibly. If I'm extremely lucky. 5: A distillery-bottled Port Ellen - I can't be too specific with the release, because trying any Port Ellen would be brilliant. Apart from the rave reviews, I love the idea of trying a whisky from a since-defunct distillery. 6: Ardbeg Supernova - Because I've loved every Ardbeg I've tried to date, especially other special releases (Ardbeg Day, Corryvreckan). 8: Hellyers Road Pinot Noir Finish - I love trying new Tassie whiskies and I love Pinot Noir. 9: Something I've barrel-aged myself - Most probably with this kit from Master of Malt. 10: The Nant 3yo Cask Strength - I don't always agree with Jim Murray (see here for example), but I've enjoyed the other Nants I've tried, and I'm keen to experience the Tassie whisky that Jim deems worthy of a 95.5. 11: Shine On Georgia Moon Corn Whisky - I saw this at a Whisky store in London about 5 years ago and have wanted to try it ever since. I'm sure it's horrible. (It was). 12: Balcones Single Malt Whisky - Because these guys seem to be destined for big things. 13: Makers Mark from my own barrel - Should be ready in about 2015. Now I just need to find an excuse to be near Kentucky then. 14: Ardbeg Galileo - See #6. 15: Talisker 25yo - I love the 10yo, 18yo and 57˚ North, so it stands to reason I'll love this. 16: Seagram's Blender's Pride - I work with a few colleagues who are in India and for my birthday last year they told me they were pouring a "Blender's Pride" for me. I hadn't heard of it, but in the interests of trying as many world whiskies as I can, I'd like to. 18: Glenfiddich Age of Discovery Bourbon Cask Finish 19yo - See #1. 20: Something distilled the year I was born - '83, by the way. 22: Johnnie Walker "The Royal Silk Route" - Hopefully I'll be able to tick this off the list when I travel after May 2013, as the first in the series (Spice Road) has been available for tasting in various duty-free stores. 24: Ardbeg Alligator - See #6. 26: Yoichi 10yo - Because every Japanese whisky I've tried to date has impressed me. 28: Limeburners Single Malt Standard - An Aussie whisky I sadly haven't yet tried. 29: Mackinlay's Shackleton Rare Old Highland Malt - "Journey Edition" - I tried the Discovery Edition. It was decent, but it's the back story that makes this whisky interesting. 31: Laphroaig PX Cask - I really enjoyed the Lagavulin PX finish, so would like to see how Laphroaig have approached it. 32: Grant's Ale Cask reserve - Beer aged? Why not. 33: Amrut Single Malt - Loved the Fusion. 34: Pappy Van Winkle's 23 Year Old Family Reserve - Tried the 15yo, found it fantastic. An old colleague says this is the best Bourbon he's ever tried. 35: Glenmorangie Sonnalta PX - See #31, replace "Laphroaig" with "Glenmorangie"
38: Thomas H Handy Straight Rye - I've been getting more and more into Rye whiskies of late, and this is supposed to be one of (if not the) best. 39: Penderyn Madeira Finished Single Malt - Because I've never tried a Welsh whisky before. 41: Balvenie TUN 1401 (any batch) - Because everyone seems to love these releases. 44: Brenne French Single Malt - French? Cognac barrel aged? That ticks two boxes for me - 1) interesting and 2) a world whisky from a region I haven't tried. 45: Millstone French Oak 8yo - Dutch whisky, another region I haven't tried. 48: Mackmyra Small Casks - Swedish, aged in 30L casks? Sure to be interesting. 49: Compass Box "The Peat Monster"
50: Moonshine - Not even sure where to start looking with this one. 51: Auchentoshan Valinch - I gave packs of miniature Auchentoshans to my groomsmen as part of a thankyou just before our wedding. Kept a few for myself and enjoyed every one, but haven't tried the Valinch. 52: Aberlour 18yo - Because the A'bunadh is brilliant. 53: Laphroaig 18yo - I like the 15yo and the Quarter Cask, and even the standard 10yo, so it stands to reason I'll like this. 55: "Elements of Islay" Ar# (any release) - I've tried a few, including the CL4 and BR4, but I'm keen to see how their Ardbeg fares. 56: Oban Montilla Fino Finish (Distillers Edition) - I was lucky enough to visit Oban a few years ago. Lovely town, and lovely whisky. 59: The Macallan 21yo [Fine Oak] - Truth be told, I don't really like any of the Macallans (clarification: Fine Oak range) I've tried to date (including the 18yo). Maybe the 21yo will change my mind? 61: A distillery-bottled Brora - For the same reason as #5. 64: Tobermory 15yo - Because I always see this case at Dan Murphys and it catches my eye, every time. 66: George T Stagg Bourbon - 71.4% ABV? 97.5 pts from Mr Murray? Phwoar. 68: Bain's Cape Mountain Whisky - Continuing with the world whisky theme - a South African grain whisky. 71: Black Bottle - The price may be an indication of the quality that lies within..but a blend of (almost) every Islay malt? Sign me up. 74: Finlaggan Old Reserve - It's Caol Ila, right? 77: Dalmore King Alexander III - Not one, not two, but SIX different types of casks! 78: Glenfarclas Movember edition - I do Movember every year, but had no idea there was a whisky dedicated to it! 80: Johnnie Walker "The Gold Route" - See #22. 81: Big Peat - Coal Ila, Bowmore, Ardbeg and Port Ellen? Yes please. 83: Yamazaki Bourbon Barrel - Love the 12 and 18yo. 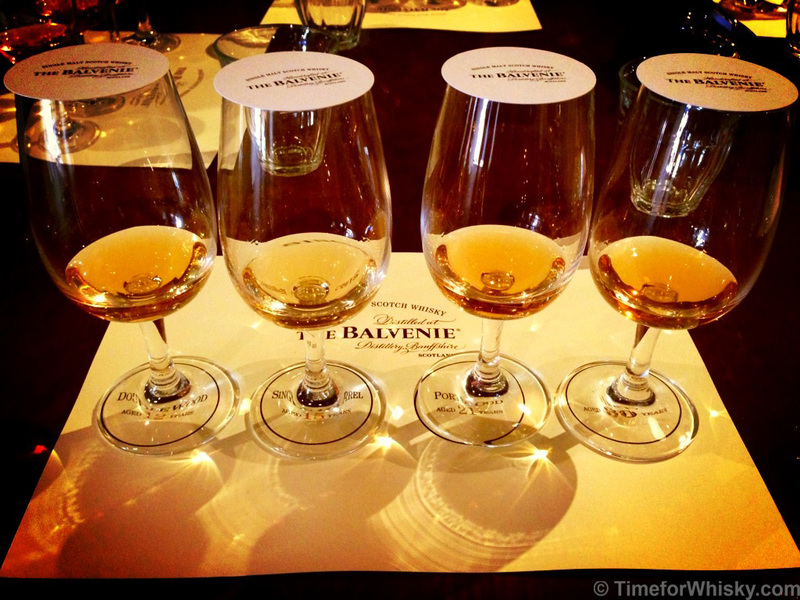 86: Bailie Nicol Jarvie Blended Whisky - A bunch of guys on a whisky forum are always talking about this being a decent drop for the (relatively little) money. 87: Sazerac Rye - Neat (I've had it in plenty of cocktails before. Plenty of tasty, sharp, strong cocktails). 90: Laphroaig cask strength - I meant to buy this one a recent trip overseas, but got sidetracked by a few new Glenfiddich releases. 91: The Chivas Brothers' Blend - As far as blends go, I don't mind Chivas, and I should hopefully be able to tick this one off the list when I next travel. 92: Teerenpeli Finnish Single Malt Whisky - I was curious if there were any Estonian whiskies out there (seeing as I'm a small part Estonian), but it seems there's only one, now-defunct distillery bottling Scottish whisky in Estonia. This Finnish whisky seemed a bit easier. 93: Woodford Reserve Double Oaked - I love Woodford Reserve and since their NSW Brand Ambassador told me about this, I've been wanting to try it. 96: An Islay new make - I've tried a few Scottish new makes (and Glenfiddich twice), but never an Islay new make. Not sure if this one will be easy or not, but they can't all be easy. 101: Master of Malt 50yo - A 50yo whisky that I'll most probably have the opportunity to try sooner rather than later. ....easy, right? Let's get tasting! There are some great whisky bars in Australia, and some great distilleries, but (aside from the various cellar doors at each distillery) no-one had ever combined the two. 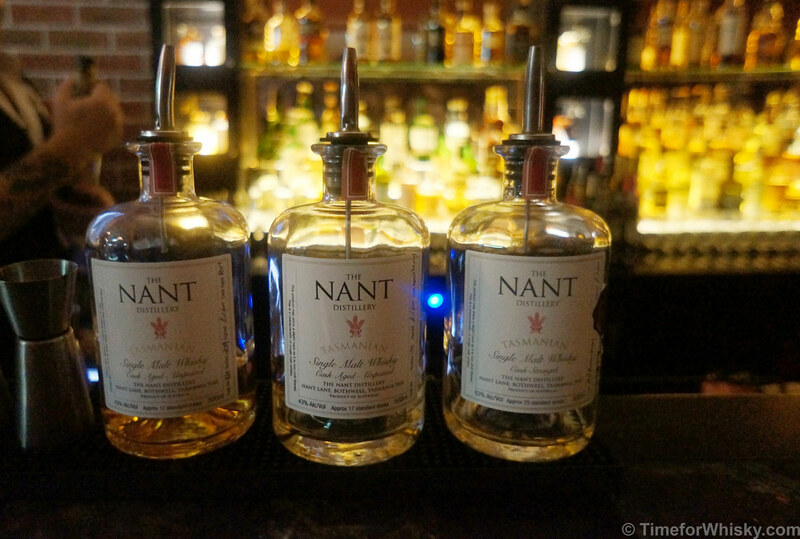 I was pretty keen to visit the Nant Whisky Bar bar since hearing of its opening in October 2012, so when Steph joined me after a Brisbane work trip last weekend, it was a perfect opportunity. Located in "the Valley" (but well away from the seedy part), The Nant Whisky Bar occupies a quiet corner of the Emporium, a "luxury retail and dining precinct". The bar is the brainchild of The Nant Distillery, and I'm told more are to follow (they already have a second bar in Hobart). 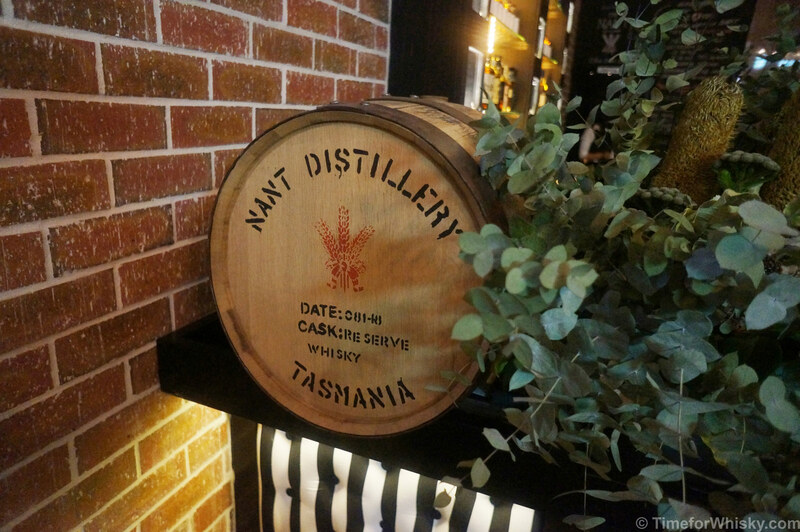 Designed to show off The Nant's range of whiskies (including their highly-praised, 95.5 Jim Murray-rated cask strength 3yo), the bar also has a strong focus on local Tasmanian produce in both wine and food. Talking to the staff (including the very friendly "Simo" and manager Ryan), it was pretty clear these guys and girls have the right idea about whisky - i.e. keep it fun, leave the BS behind, and maybe try something new and interesting. With 100+ world whiskies available (including several independent bottlings), they certainly meet that last point. After those (and plenty of whisky banter with Simo - always sit at the bar! ), we moved onto Wales (Penderyn 10yo), then finally Islay - first a Dun Bheagan 14yo Ardbeg (sherry cask), then The Ileach, which I'd never heard of, but was a nice surprise (especially for the price tag). More on these in future "Tasted" posts (suffice to say the cask strength Boubon Wood Nant was excellent). 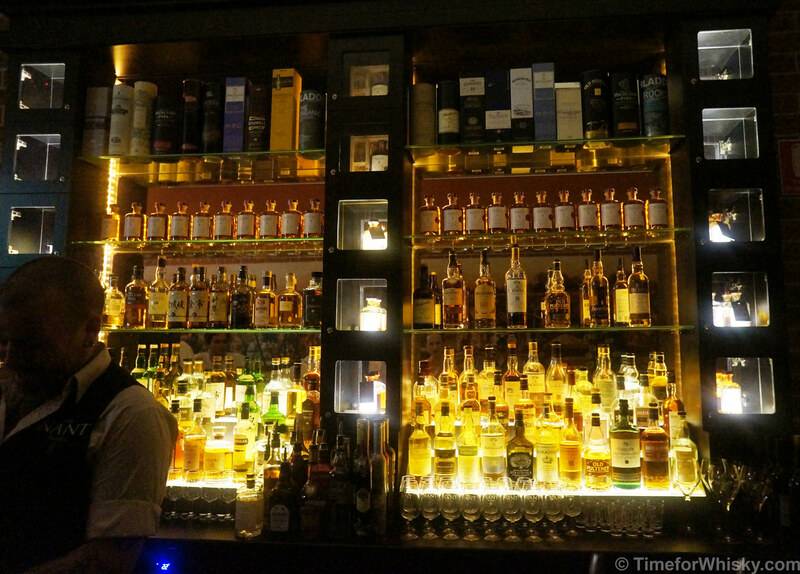 If you ever find yourself in Brisbane, I highly recommend dropping by the Nant Whisky Bar. 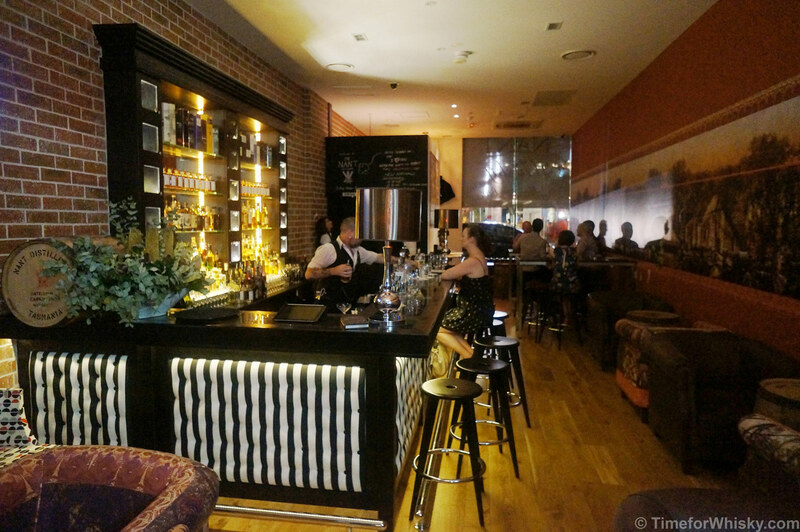 We struggled to find nice, quiet cocktail/spirits bars (The Laneway was enjoyable, Canvas looked great, but apart from that everything else seemed to turn into an nightclub on a Saturday night), but the Nant Whisky Bar was a great find. Bring on Sydney! Last year was a big year for Whisky Shows in Sydney, with Whisky Live, World of Whisky's "The Whisky Show", and Oak Barrel's "Whisky Fair", not to mention a variety of smaller events. 2013 is set to be just as big if not bigger - with Whisky Live (2-3rd August) and The Whisky Fair (7-8th September) already having been announced, and now a bigger, better "The Whisky Show 2013" booked for 28-29th June 2013. With a limit of 500 visitors per session (across three sessions) and two halls, the show should give everyone plenty of opportunity to discuss and enjoy a dram (or several). Based on feedback received from both exhibitors and visitors last year, we have made several changes to the Show format, to strive for continued improvement. The Show will be split into three 4-hour sessions. One session on Friday and two sessions on Saturday, with an hour break between the sessions. Each session will be limited to 500 visitors. There will be free snack and finger foods available for visitors. The Show will be split across two halls, allowing for more exhibitors and to spread visitors out a bit more. Access to the show will be at street level, in a side entrance to the hotel, allowing easy direct access to the Show. The retail store will be located near the exit. We will again be having special show prices on the day. 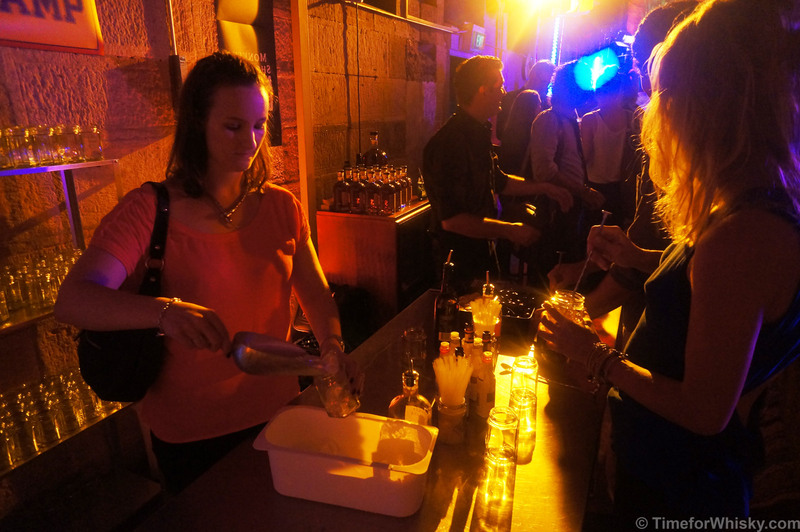 The Whisky Cocktail competition and Australasian Whisky Awards proved to be very popular, and will be repeated again in 2013. Keep an eye on the World of Whisky website for tickets - we might even see you there!